Despite growing up as a Nintendo fanboy, I branched out in my teenage years to begin appreciating Sega consoles. Here’s my look at 5 games that really impressed me on a technical standpoint. 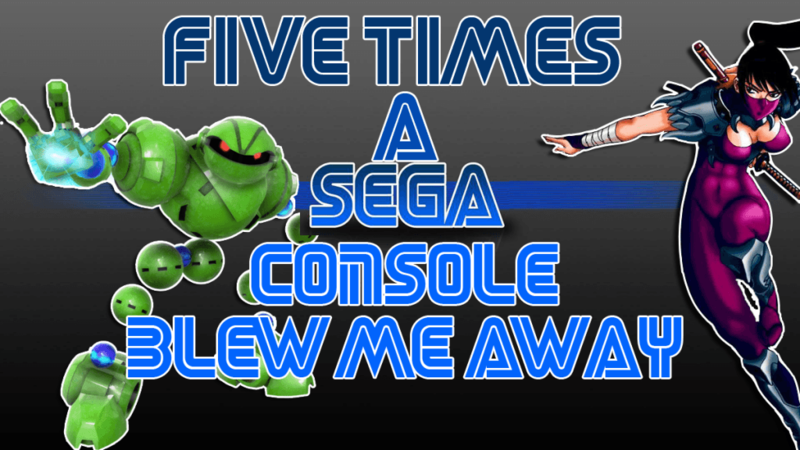 What are 5 Sega games that blew YOU away? What did you think of the games on my list? Any memories you care to share? Leave a video response in the comments below or just comment away! Thanks to Ed Wilson for being the second player in capturing footage for one of the games!